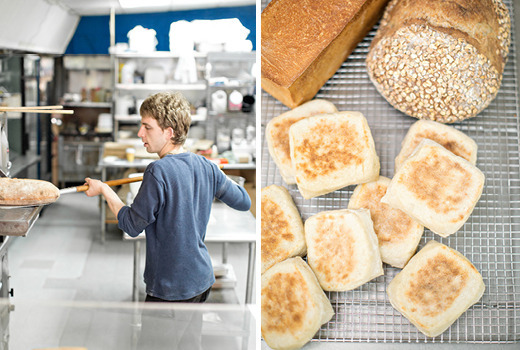 As Philly Bread’s owner and chief baker, Merzbacher, 23, transforms 250 pounds of GMO- and chemical-free flour each week into baguettes and boules for wholesale customers and a small but dedicated group of “bread CSA” members. 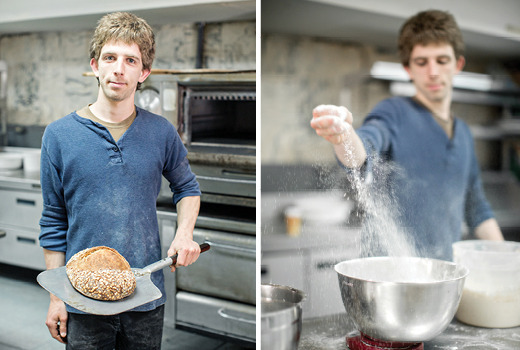 Many discovered Merzbacher’s loaves through word of mouth or Facebook, where he announces his weekly specials—rosemary focaccia, olive and herb with orange zest, sunflower rye—and connects with Philly’s urban farmers and foragers to source ingredients. Like the traditional farmer-run community supported agriculture (CSA) model, Philly Bread CSA members invest in Philly Bread’s success. For $24 a month, members get a loaf of bread each week (or Philly Bread’s granola) and provide the upfront investment Merzbacher needs for the fledgling company. 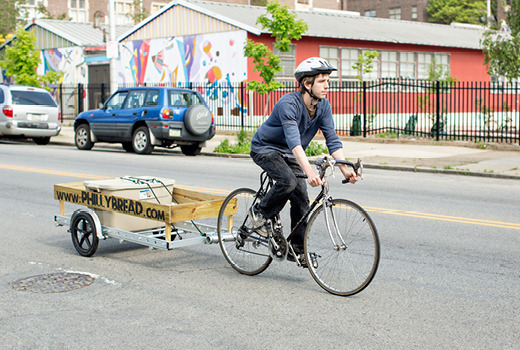 CSA members pick up their bread at West Philly’s Aladdin Pizza, where Merzbacher spends his days baking his loaves in the pizza ovens.